LIM and its management are committed to conducting operations in an environmentally and socially responsible manner. LIM has adopted an Environmental and Social Responsibility Policy to express its commitment to the environment and the local communities in which it works. This commitment to sustainable development is achieved through the undertaking of its programs in a manner which balances environmental, economic, technical, and social issues. 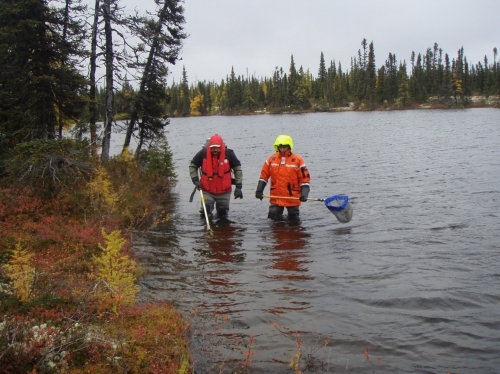 LIM conducted an extensive issues scoping process in relation to the Project, which included consultation with appropriate regulatory agencies, the public, and Aboriginal groups, in order to identify the potential environmental issues associated with the Project. 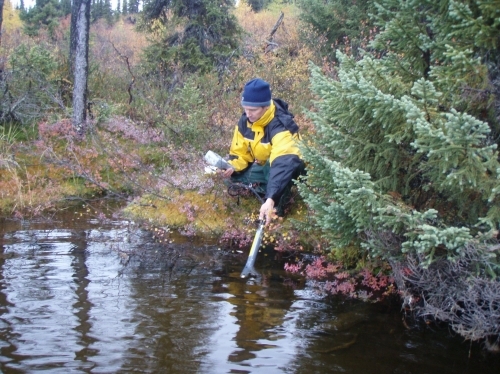 The Environmental Impact Statement (EIS) submitted in December 2008, with revisions in August 2009, includes consideration of the environmental effects of the proposed Project, including the potential effects of each of its components/phases and any of these predicted environmental effects is also evaluated. Mitigation measures which are technically and economically feasible have been incorporated into Project design and planning and additional VEC-specific mitigation has also been identified and proposed as required and appropriate. LIM recognizes its responsibilities to a large number of stakeholders, particularly those in proximity to the Project, and it is committed to maximizing the benefits of the Project to all stakeholders consistent with maintaining the financial viability of the Project. The successful start-up of LIM's direct shipping iron ore project is likely to be the first positive economic stimulus to the area in over three decades and could lead to significant long-term economic stability. The Project is relatively small-scale compared to previous historical mining in the area and will enable Aboriginal communities to participate and benefit from significant training and business development opportunities. The establishment of co-operative and mutually beneficial relationships with all of LIM's Aboriginal partners based on respect and trust will ensure the long term success of the Project and is therefore considered essential. Listening to people is an important first step. Through listening, we strive to understand the needs and aspirations of the communities and conduct our activities in ways that benefit those with close ties to our project. We strive to act as a responsible participant of the communities in which we operate. Adopting open and transparent communications with local communities and governments is paramount to establishing this kind of relationship. Learning from one another, having mutual respect and working together will result in shared success. We are pleased to provide you with a Quarterly Community Newsletter, which launched in 2012 to provide an update on our initiatives and commitment to the local and Aboriginal communities in which we operate. As we develop and expand our operations, we are committed to establishing effective communications relating to environmental and social issues in a timely and efficient manner. Stakeholder consultation and communication are key to forming meaningful community partnership.